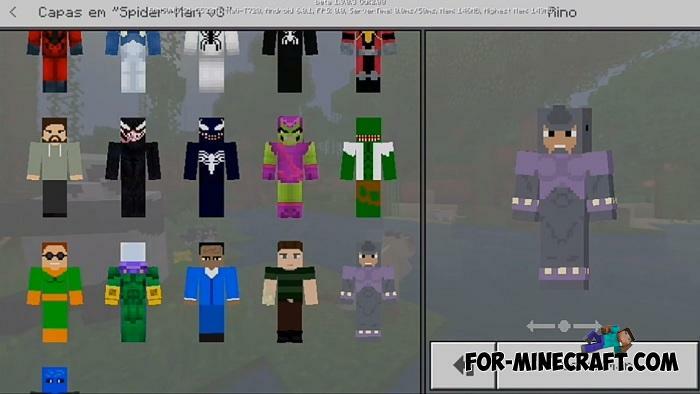 Perhaps this is the biggest HD skin pack dedicated to Spider-Man and his universe. 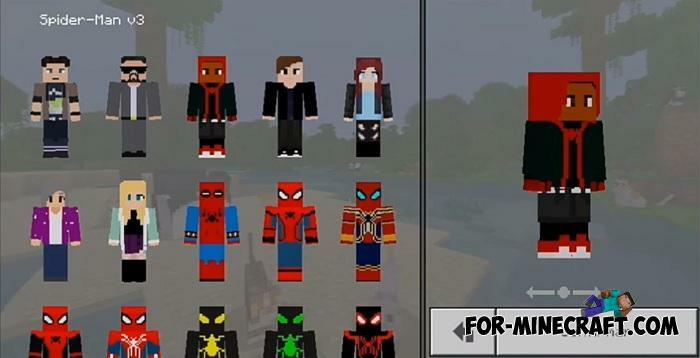 Here are collected almost all the characters from Spiderman movies. Below are all who somehow was involved in the movies including several antagonists and protagonists. There are 48 skins in total, with most of them having HD quality (detailed work). 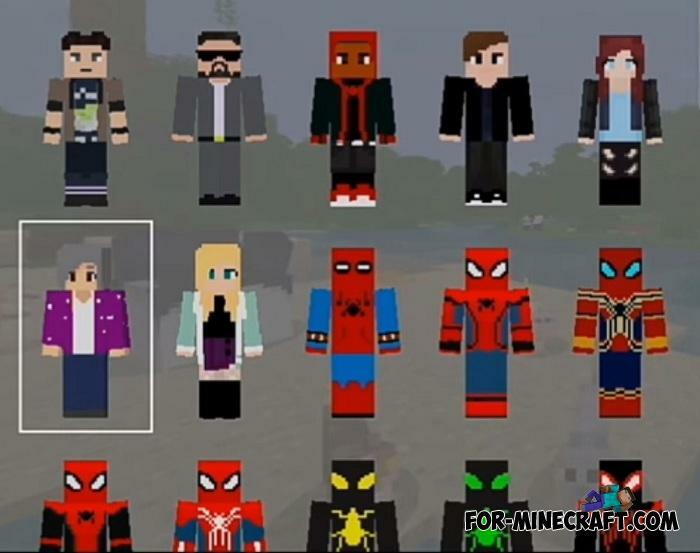 If you use the search on the site and enter your favorite superhero, you can find such key characters as Superman, Batman, Avengers team and Spider-Man himself. 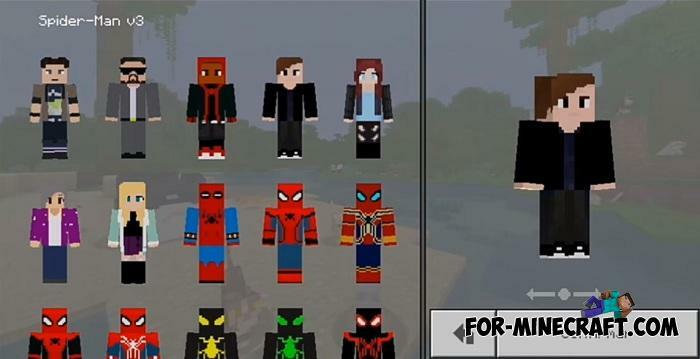 Many super heroes are already implemented as addons and mods and can be installed on your smartphone. 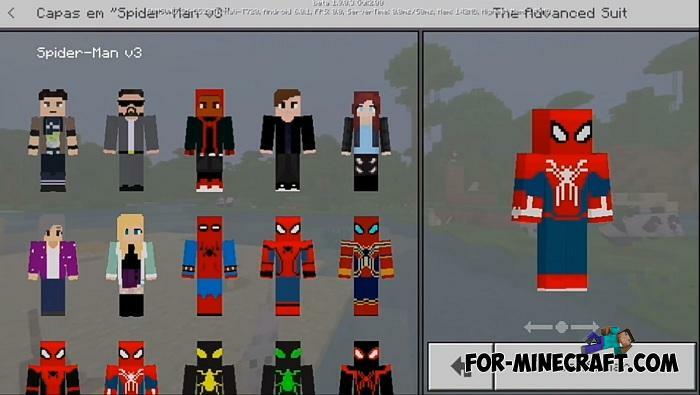 How to install the Spider-Man HD Skin Pack? Default Style Advanced textures (MCPE 1.1)It may seem at first glance that this is a slightly updated texture pack but it is not. The creator made a lot of efforts..